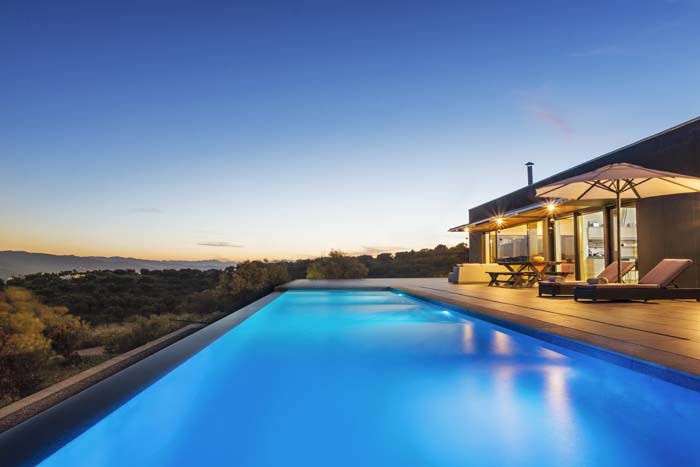 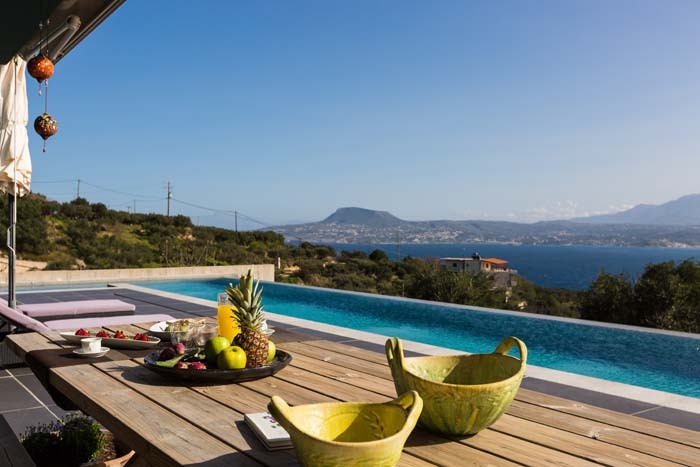 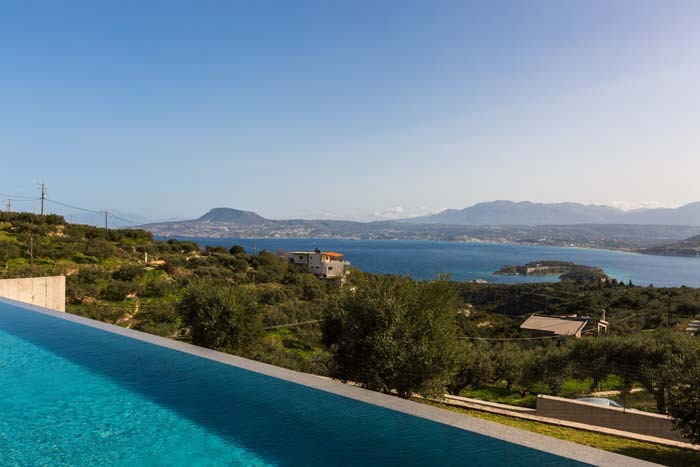 Villa Oikia is a stunning 288sqm villa situated in the Akrotiri Peninsula a few kilometers away from the town of Chania. 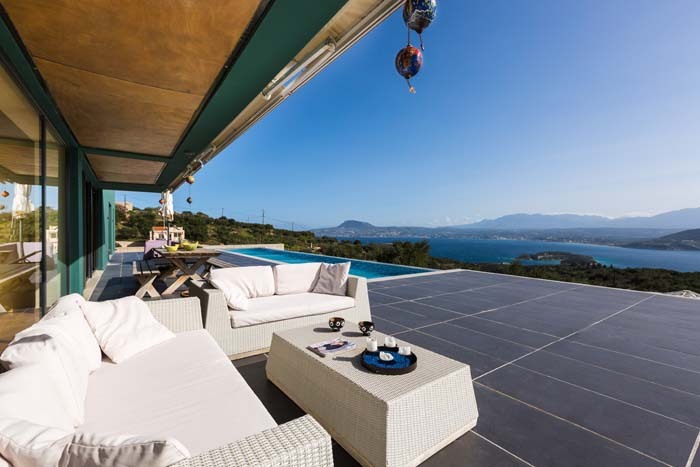 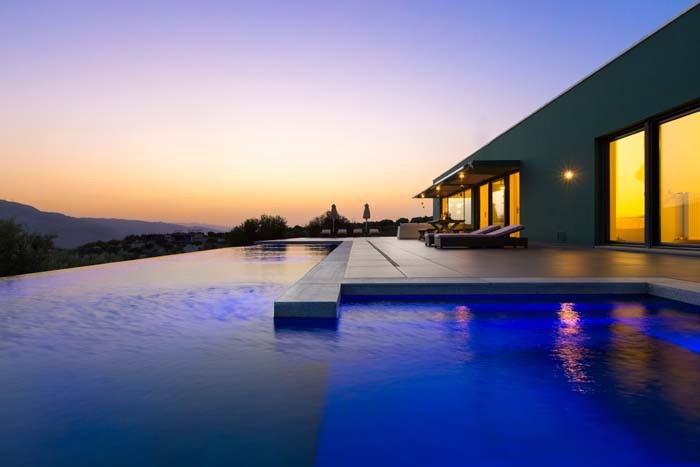 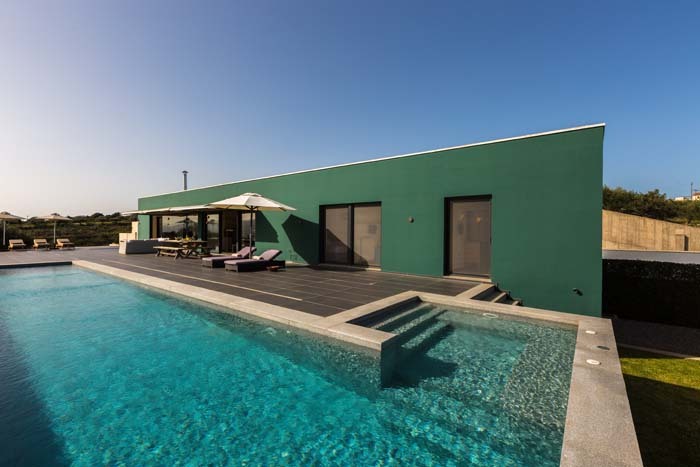 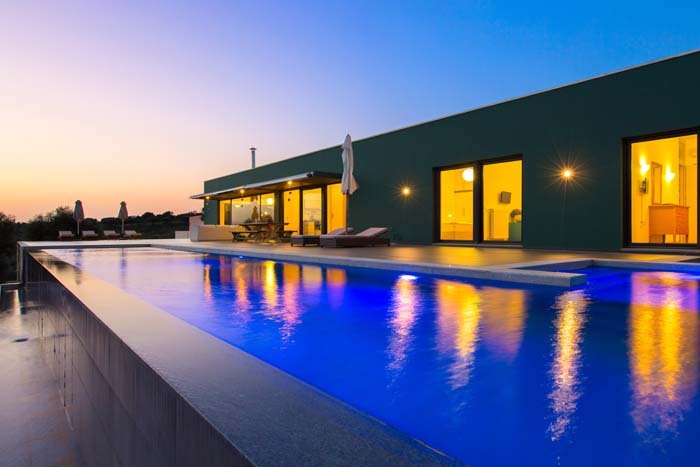 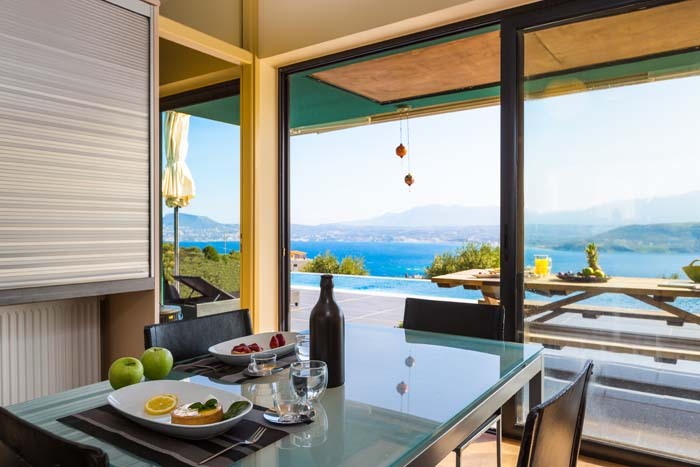 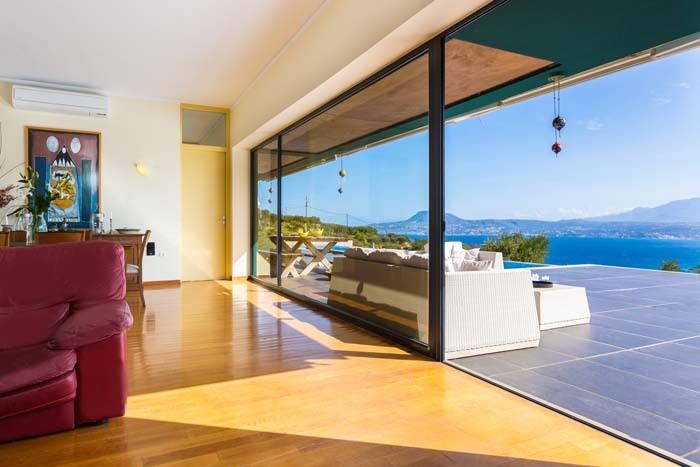 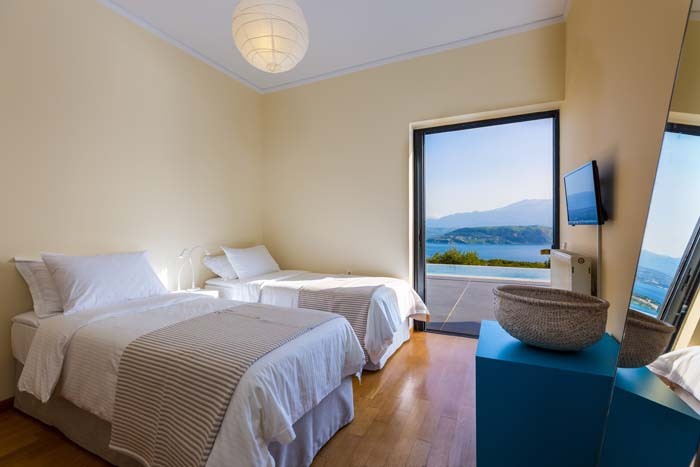 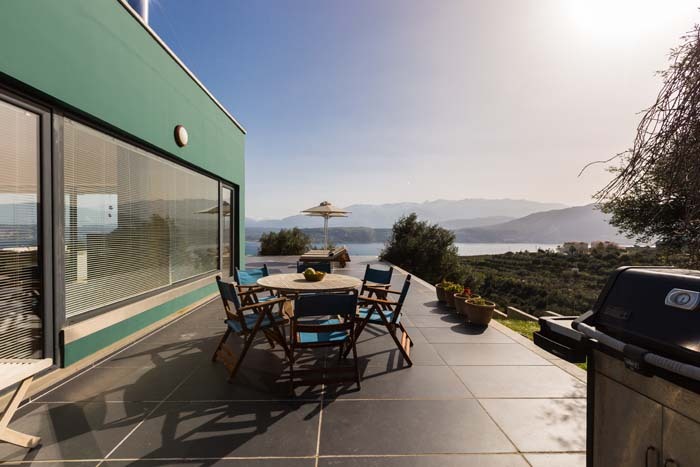 The house can accommodate up to 11 guests, has a huge private infinity pool, well equipped and stylishly decorated areas and mesmerizing views of the Souda bay and the White Mountains. 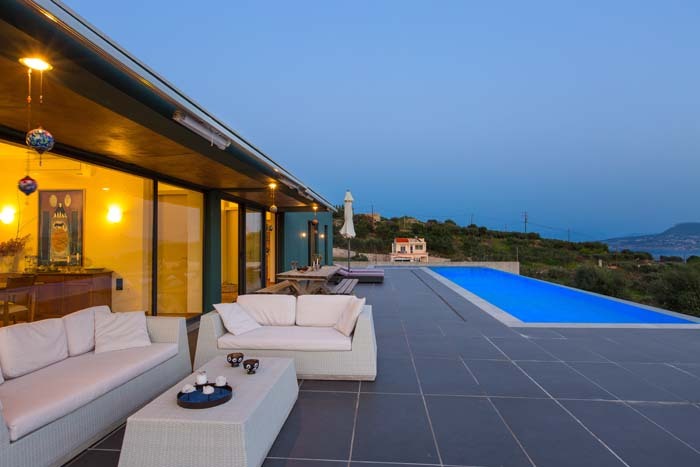 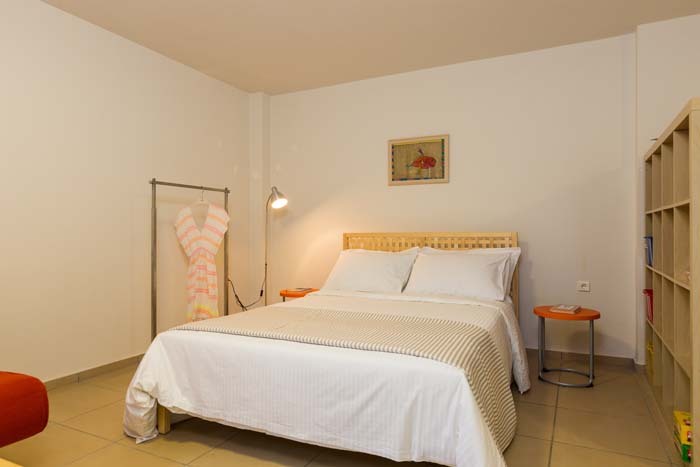 If you are looking for a luxurious home away from home and want to enjoy a relaxing and and unforgettable holiday in Crete, Villa Oikia is the place to be! 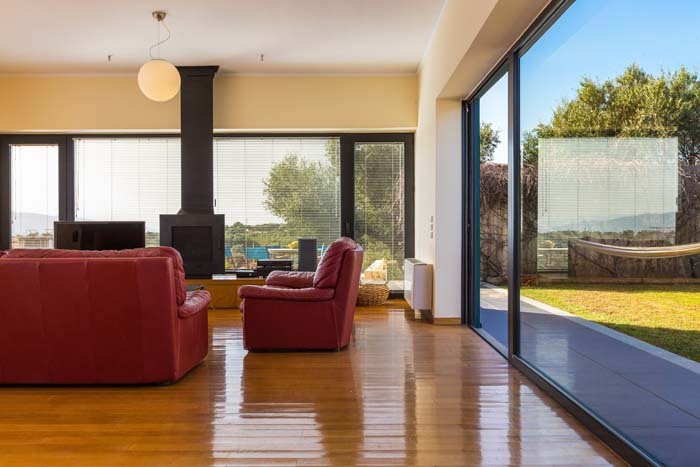 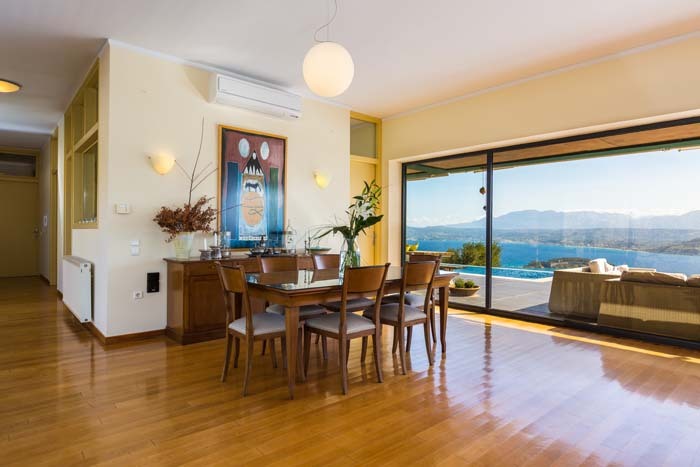 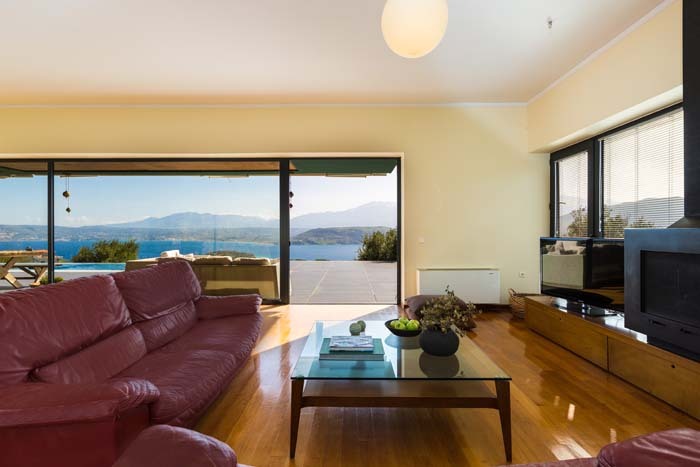 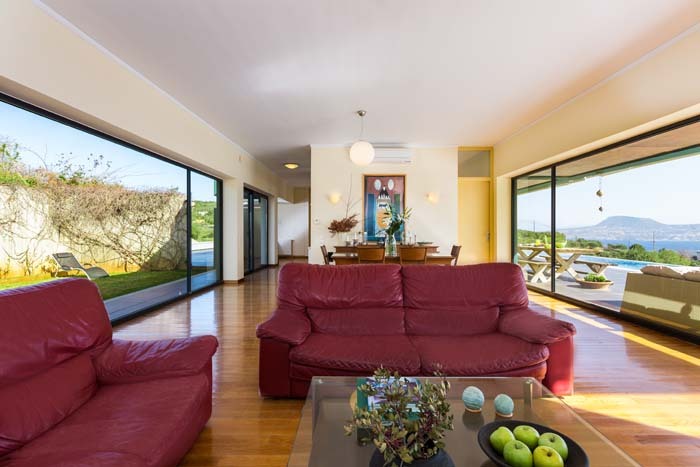 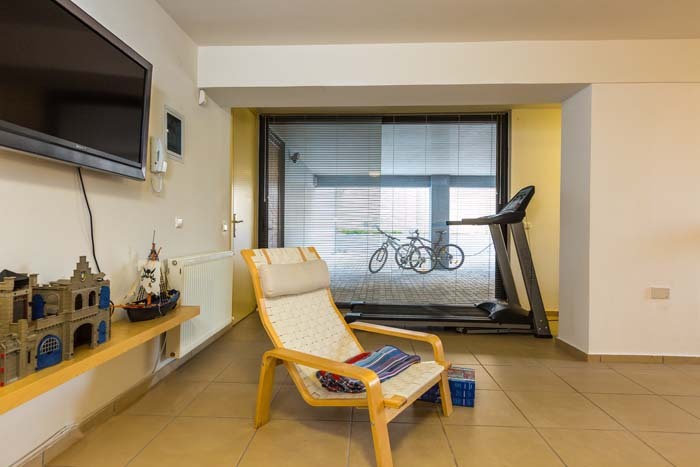 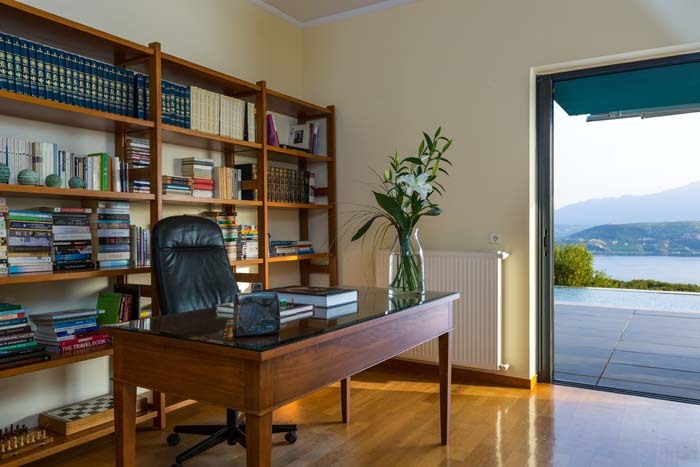 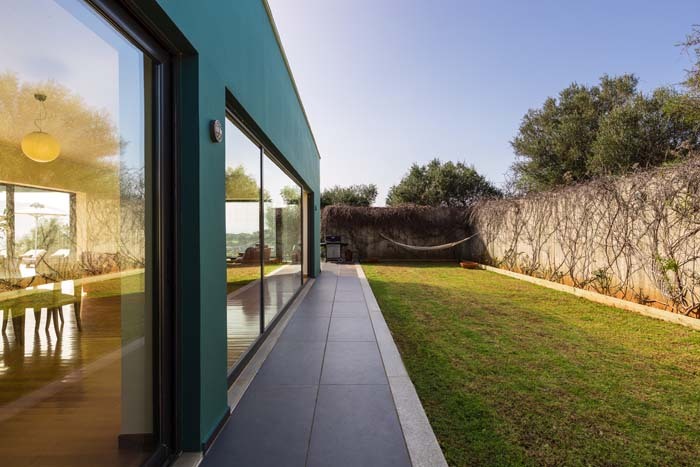 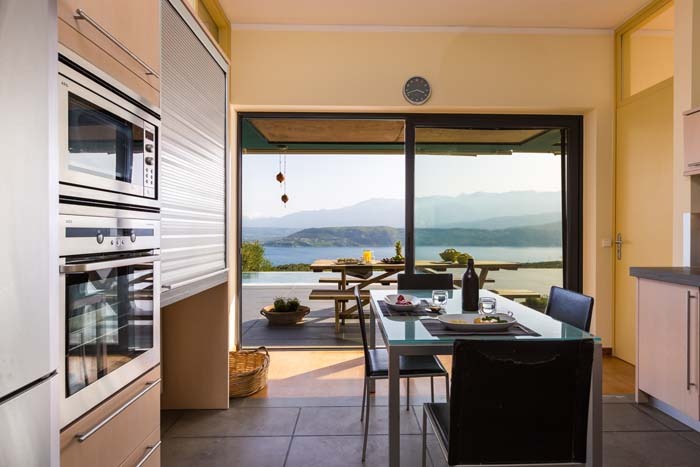 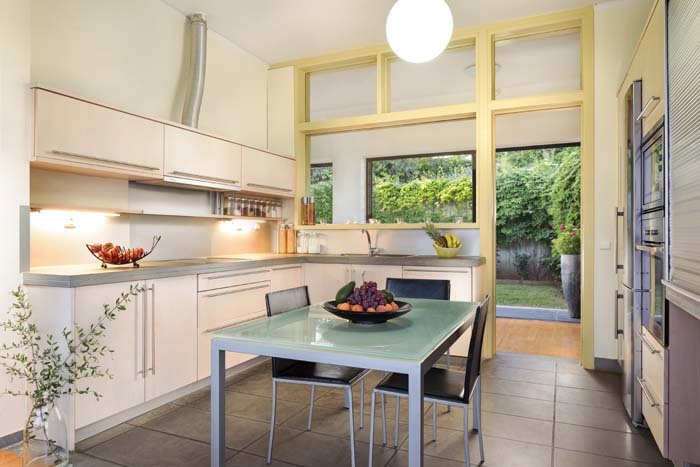 The ground floor of Villa Oikia (220sqm) consists of an open plan living and dining area, with large glass doors leading to the terrace, pool and garden, a kitchen also with access to the outdoor area and a media room with bookcase, sofa, large plasma TV, board games and X box console. 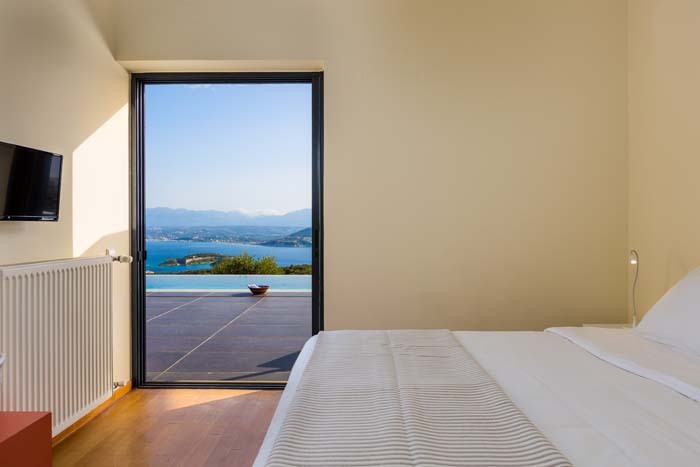 On this floor there are also three bedrooms: a master bedroom with ensuite shower bathroom and two bedrooms with king size beds (that can convert into twins) that share a bathroom with a tub. 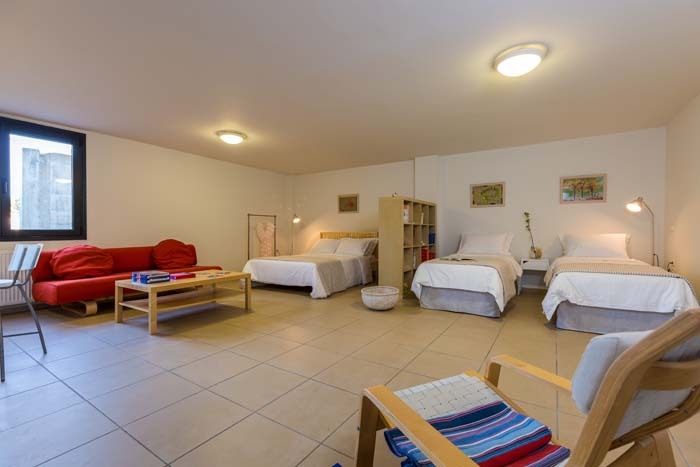 All rooms have TVs, wardrobes, dressing tables and access to the garden and pool. 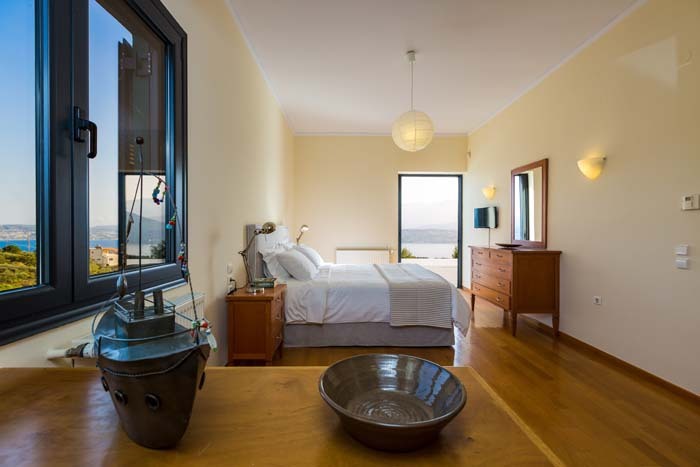 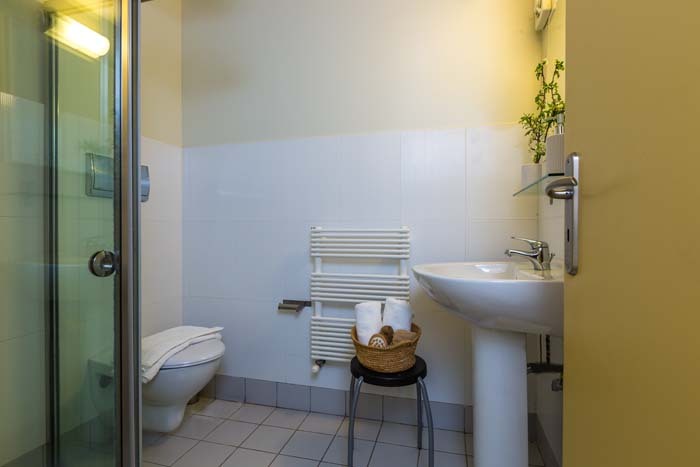 The lower ground floor (68sqm) comprises of a separate apartment with a king size bed (which converts into twins), a double bed, a sofa bed, a kitchenette, plasma TV, wardrobe and en suite bathroom. 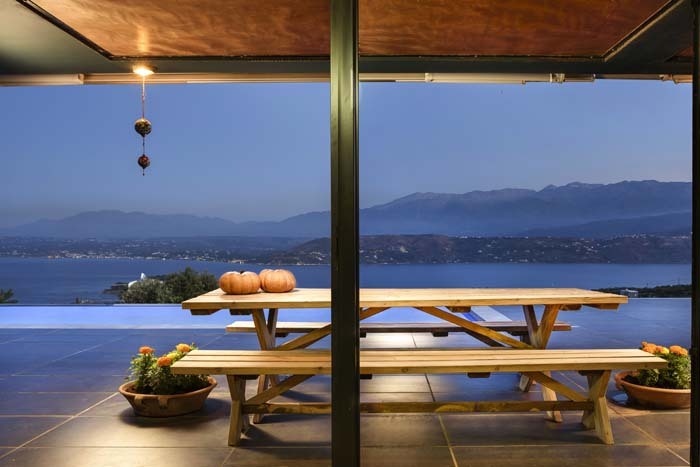 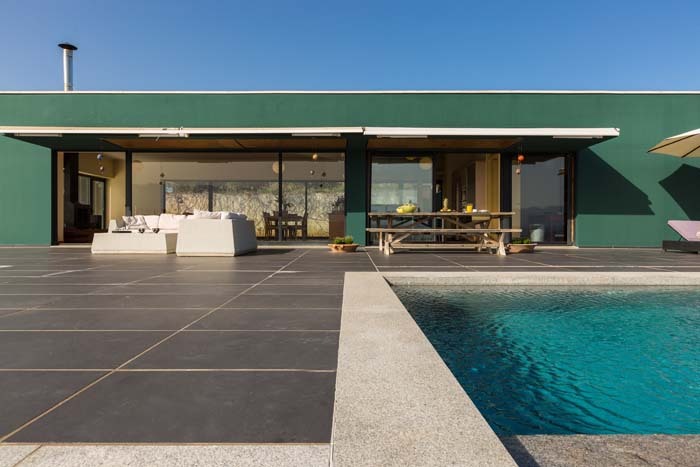 The outdoor area of Villa Oikia is the highlight of this amazing residence. 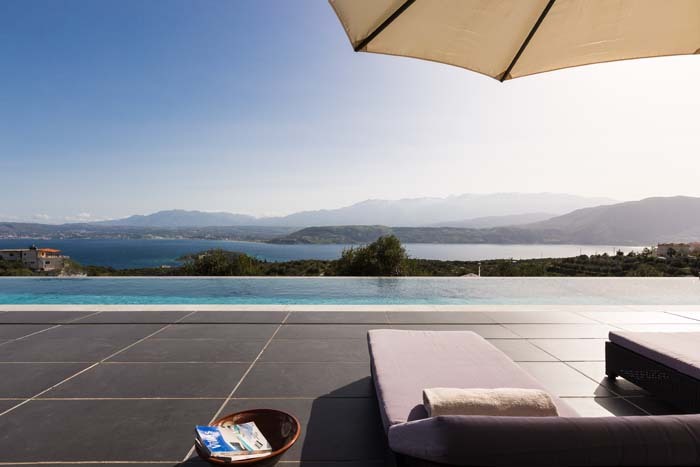 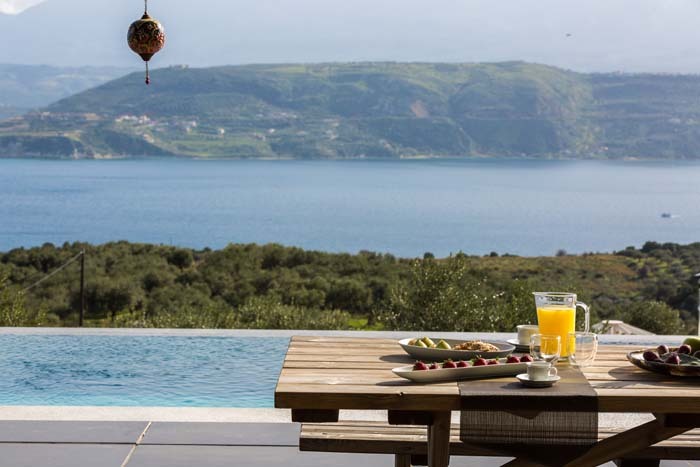 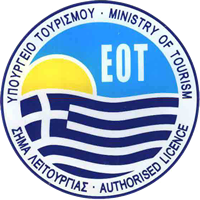 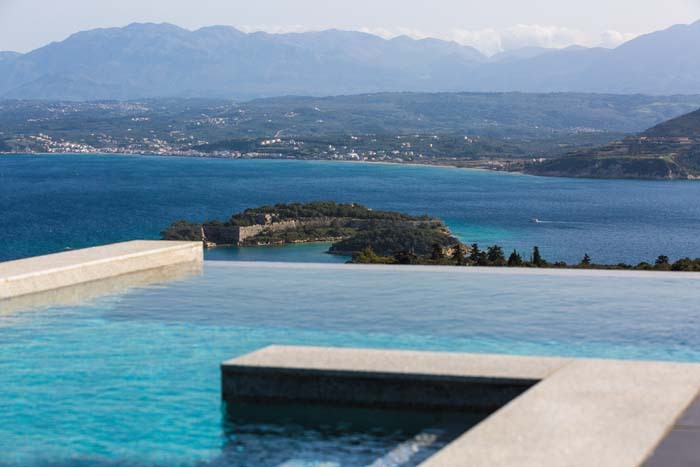 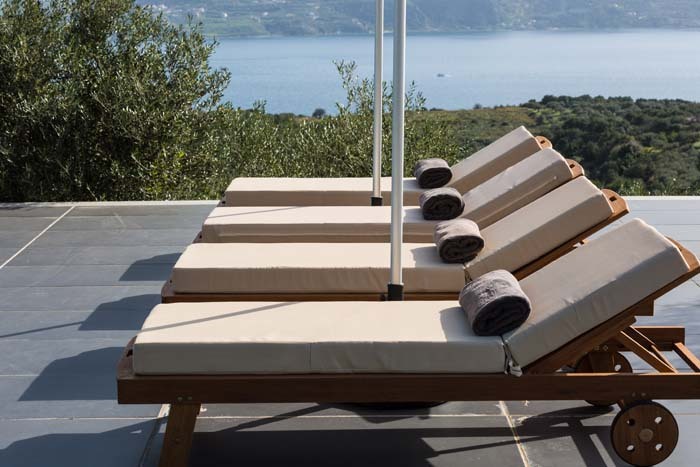 You can swim and refresh in the 72sqm private infinity pool, relax and work on your tan in one of the comfortable sun loungers, or have a cold drink at the furnished terrace enjoying the breathtaking views of the Souda bay, the islet of Old Souda and the majestic White Mountains. 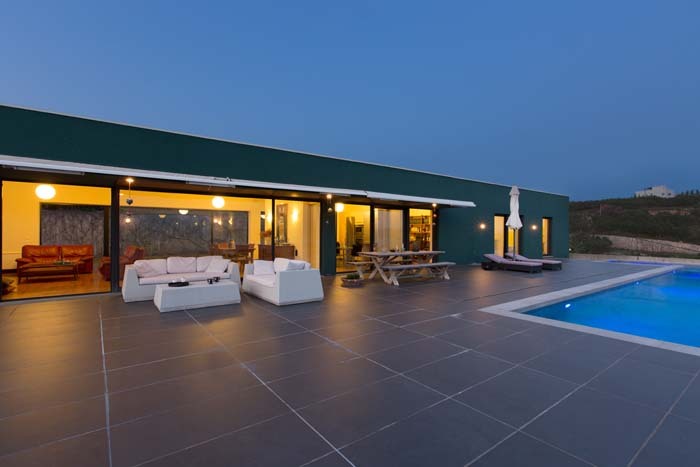 At night you may join together with your friends or family to prepare a BBQ dinner under the stars. 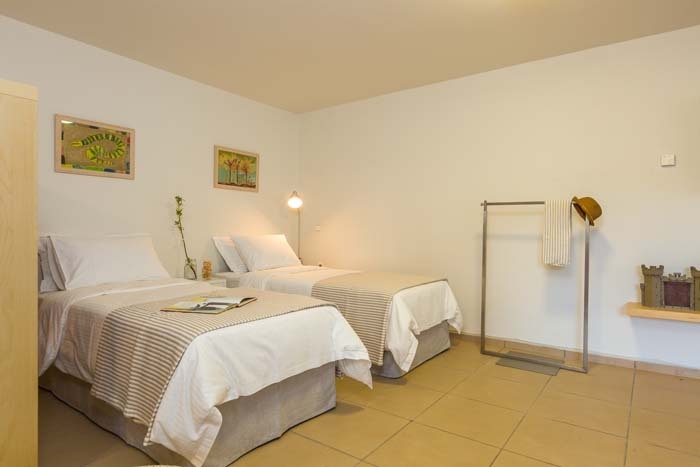 In the back yard you will find a lawn garden with colorful roses, local trees and a hammock ideal for a relaxing siesta! 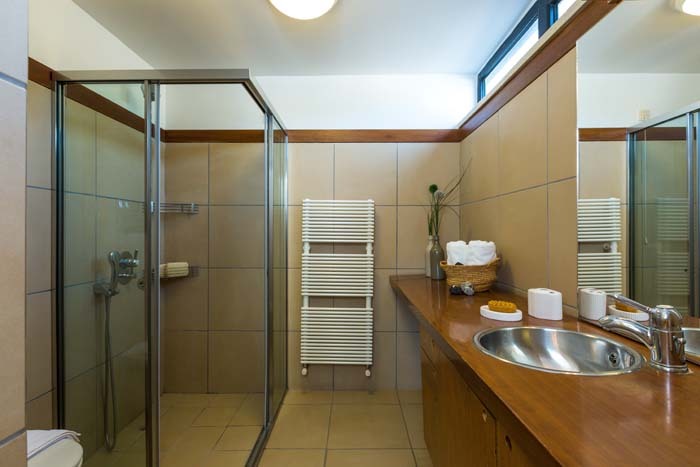 Please contact us for rates! 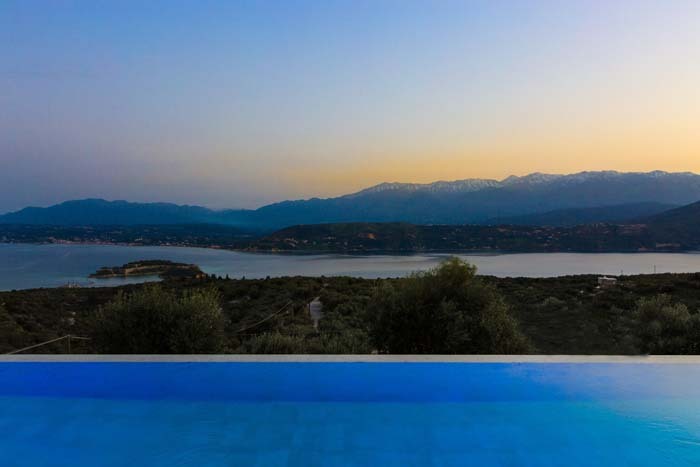 Please select your arrival and departure date!